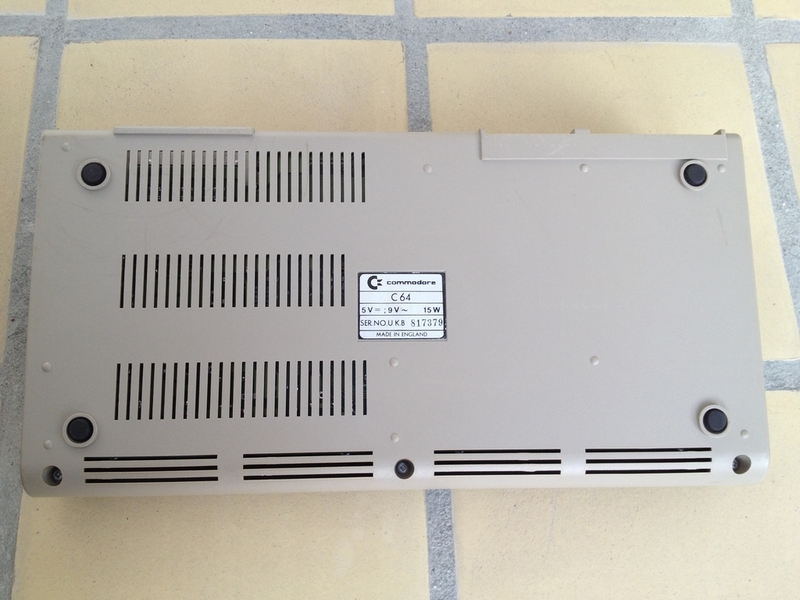 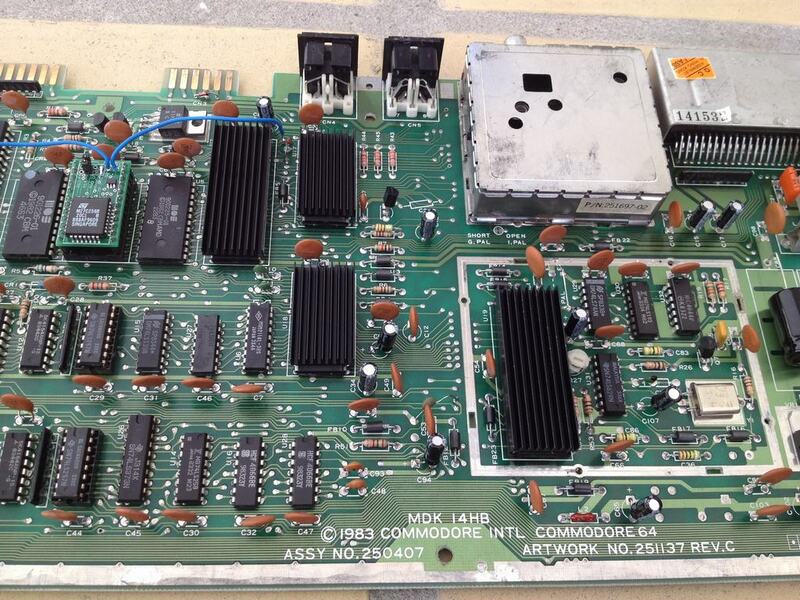 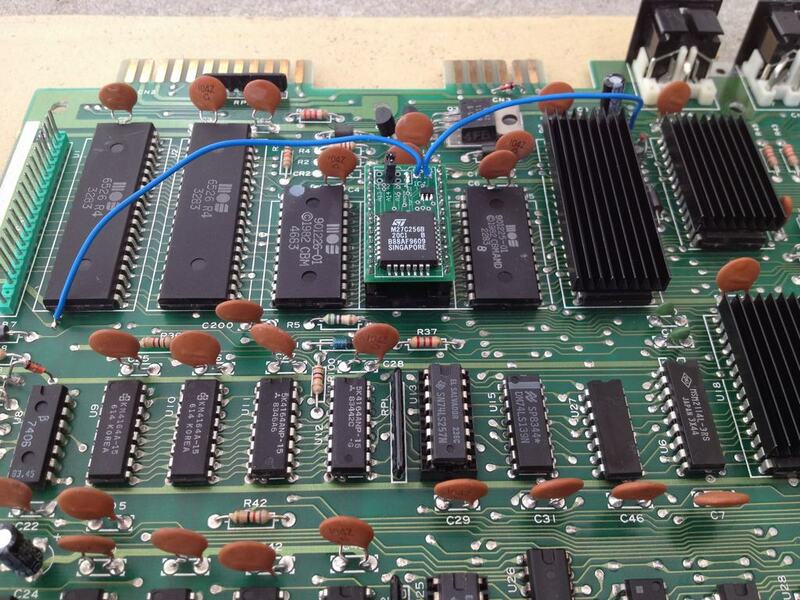 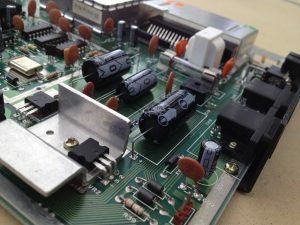 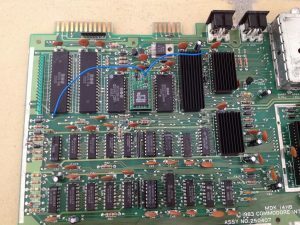 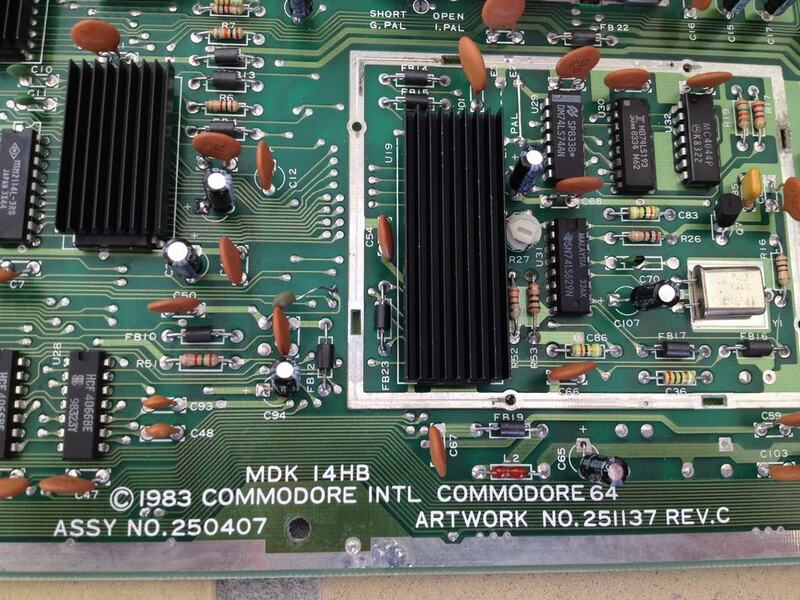 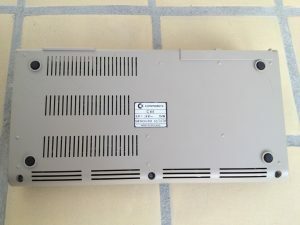 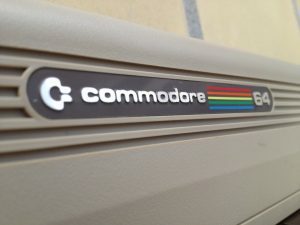 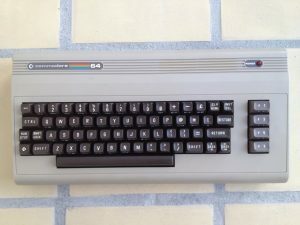 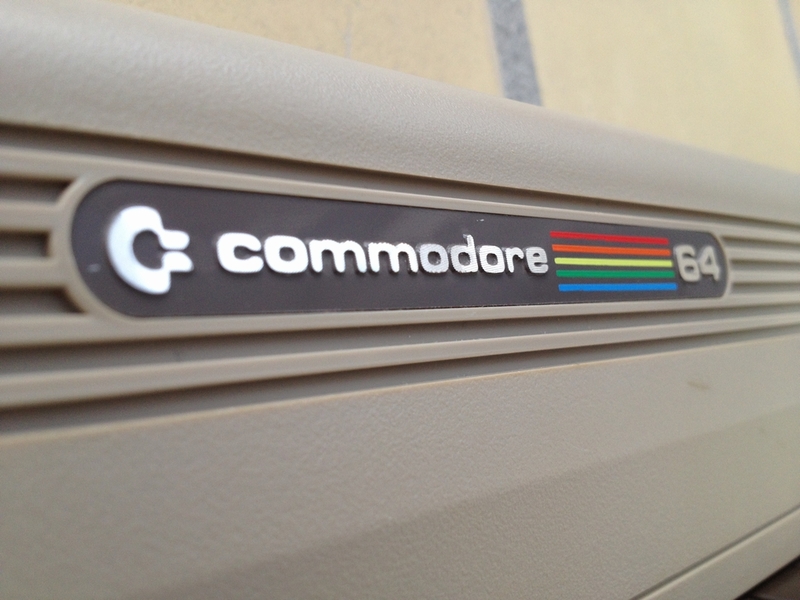 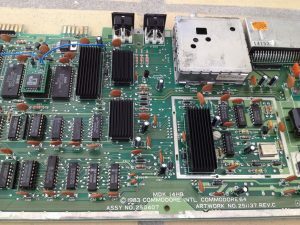 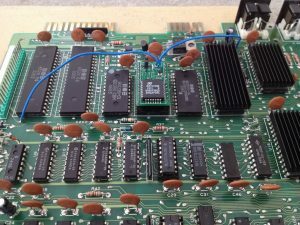 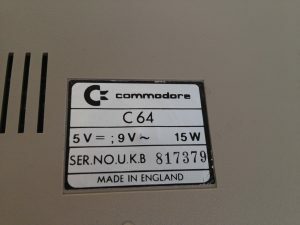 All electrolytic capacitors and voltage regulators have been replaced by new ones as described in the C64 Capacitor Mod. 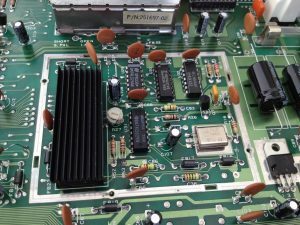 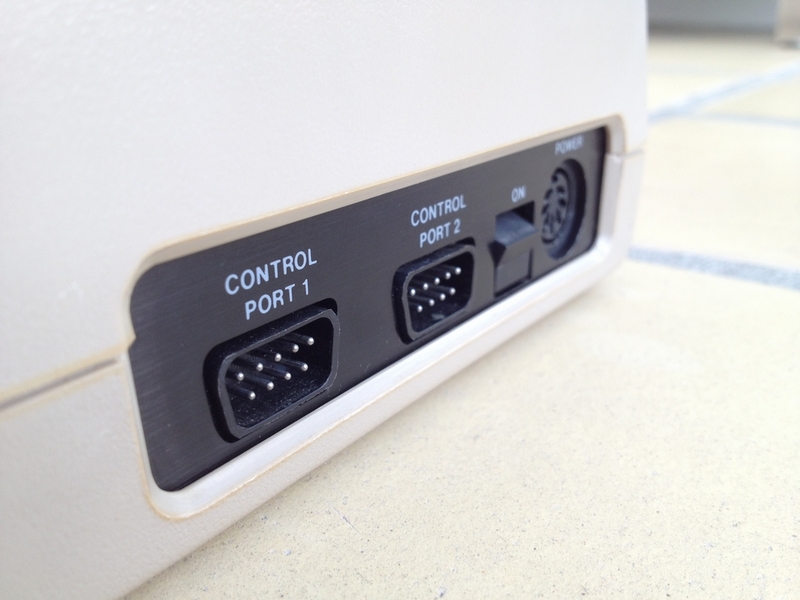 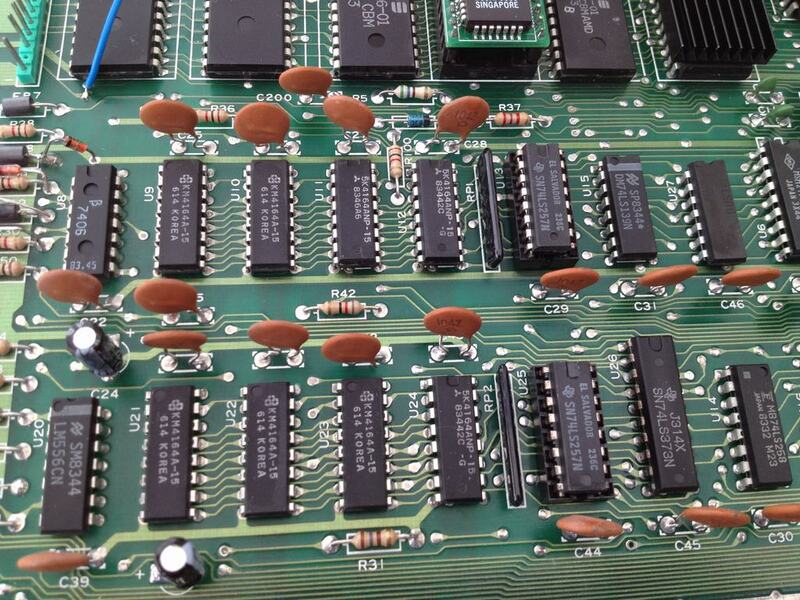 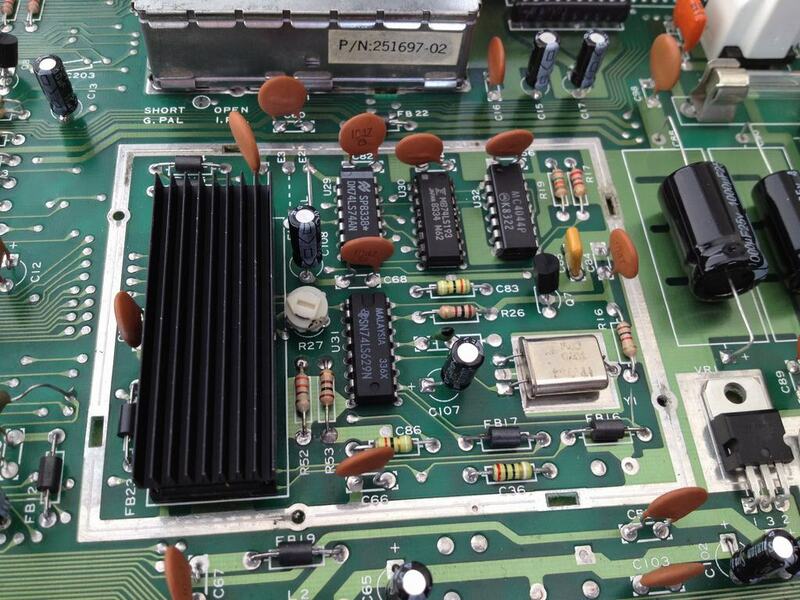 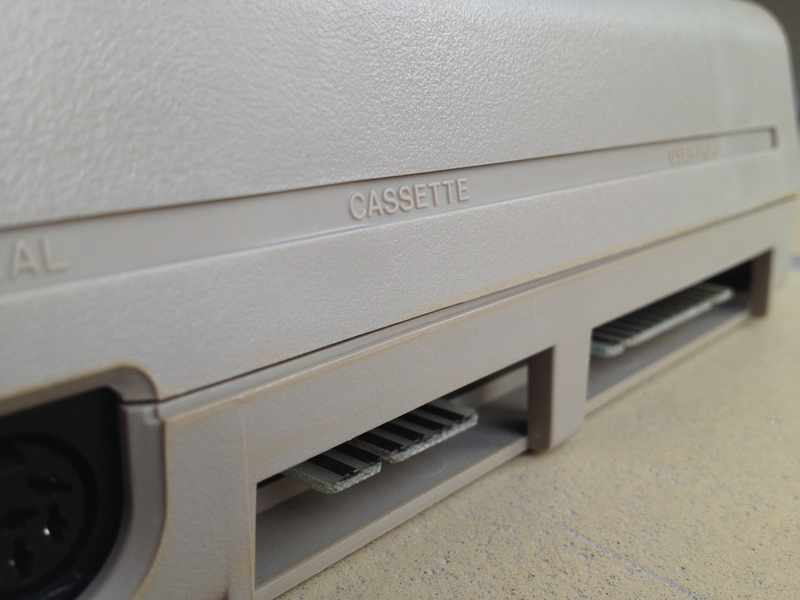 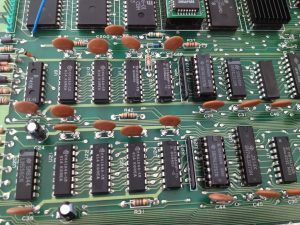 The PLA, the VIC-II, the CPU and the SID have all been equipped with heatsinks from Retroleum to make them run cool during use. 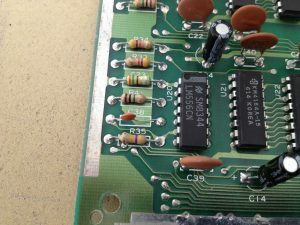 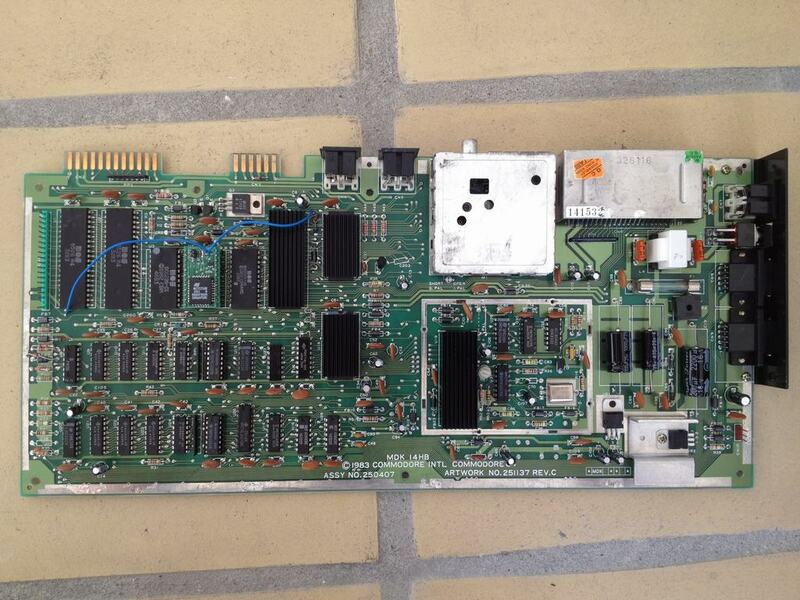 The CBM Kernal have been replaced by a small pcb (switchless kernal) with both the original Kernal and JiffyDOS included. 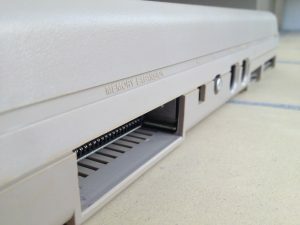 Pressing the RESTORE button during power up will boot the system into JiffyDOS. 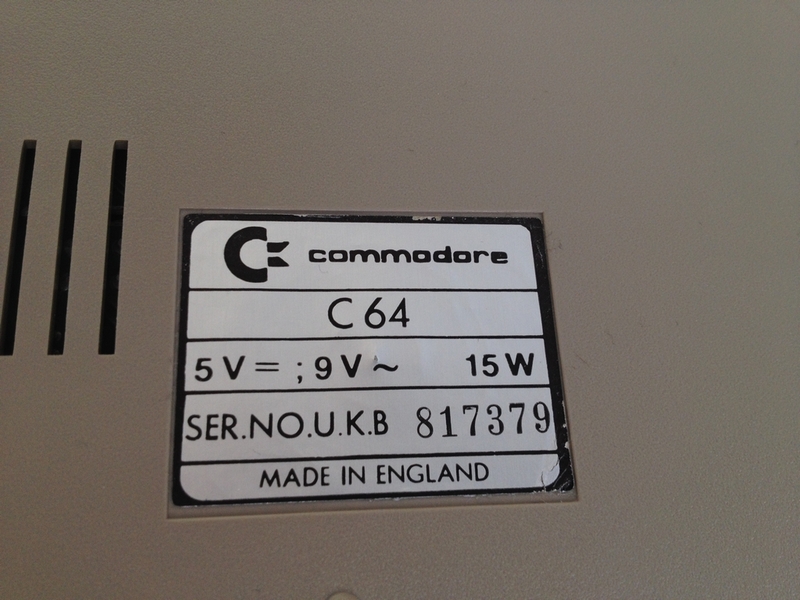 If nothing is pressed during power up, the machine boots into the standard CBM Kernal. 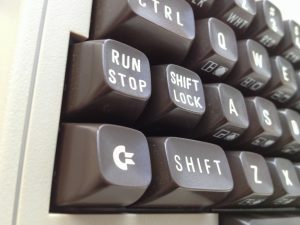 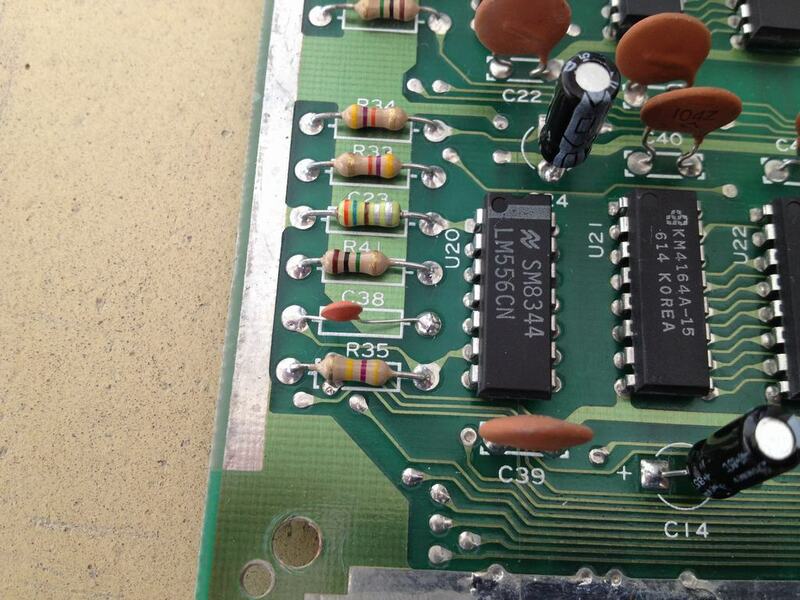 Capacitor C38 (51 pF) has been replaced by a 4.7 nF one to make the RESTORE key work like all the other keys as described in the RESTORE key mod.